‘Most good copywriters . . . fall into two categories. Poets. And killers. Poets see an ad as an end. Killers as a means to an end.’ If you are both killer and poet, you get rich. Who knew that a dead Scottish ad guy, writing 25 years ago, would so succinctly capture what the Third Tribe was all about? But if you’re an advertising history junkie like I am, you’re not surprised. David Ogilvy was one of the original (and great) Mad Men, with a knack for combining art and brilliantly effective commerce. He also got really stinking rich. 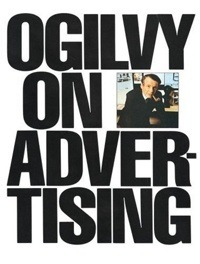 Ogilvy was a masterfully persuasive (and quotable) copywriter who co-founded one of the most successful ad agencies in the world, which is still a powerhouse today. When he made his observations about the “killer and poet,” he was speaking from direct personal experience. He was marvelously witty, but he never let a clever turn of phrase get in the way of persuading the customer. He used his own experiences as the basis for wonderfully written ads, but he also insisted on testing and measuring response to his advertising. This week on Copyblogger we’re going to dive into what makes the difference between successful freelance copywriters and those who are killing themselves just to pay a few bills. So stay tuned . . .
(Our thanks to Steve Averill for the pointer to the poet and killer quote, which appeared in the classic Ogilvy on Advertising, and is an expansion of a point made by another advertiser). The third tribe stuff has grown on me since I though about it, especially since your conversion killer piece. PLAYING with language is hard to do–can anyone (everyone) please tell me how to stop the “Self censor.” When I get it right…and don’t prekill my stuff, it’s good. I find writing to pass on information relatively easy. Writing persuasively is much more challenging. Seems like entertaining AND persuasive is where the pot of gold is. This is so totally where I want to be with my copywriting. It makes so much sense because the killer is the technical side of the technique and the poet provides the “memorable expression.” I write fiction, too, and for years fought infusing my writing with some of those elements. But when I began to do that, I draw a big difference in my pieces. Perhaps “poet” is a better word for it. A new client recently approached me because she needed a new website and “I know you can make the words dance.” The tricky part is finding a perfect balance between killer and poet. If we could do that, like you said, we’d all be millionaires! Could it be that most bloggers are poets, and most marketers are killers? Great timing on your Oglivy quote, now that MAD MEN is cranking back up!! To your point, there is much to learn from those who came before us. Human nature changes slowly. Anyone interested in digging up some of the old TV and print ads should check out archive dot org. You have to troll around a bit, but they have lots of the old commercials. To Genuine: separate writing and editing. Just write, without regard for anything other than message. THEN edit. Very interesting topic. I find it’s often hard to balance the creative with the practical. Sometimes, you really want that turn of phrase, but it just doesn’t fit. Other times, the client isn’t willing to take the chance on a less traditional style. Simply put, successful freelance copywriters are those who realize that once they go independent, they have two job titles, not one: in addition to being full-time copywriters, they are now full-time marketers for their own businesses. Amazing stuff. Well I personally write an ad or a post when I feel it’s coming from the heart. I guess that works all the time. No one likes being sold to, but they sure love to buy. The best thing that EVER happened for my copywriting career was to spend 3 months selling cars. Before then, I was scared to death to sell. What if they say “NO” I thought to myself. Once I started that job, I had no choice about selling… for 12 hours a day. No selling = no eating. If you’re a poet and want to be a killer, try getting a job selling cars or something. Something where you’re standing in front of someone trying to get them to BUY something. Then put THAT into your writing. It’s about the best education money can’t buy. Started my career at Ogilvy & Mather. I was there during a time when David was still engaged. Did a blog post recently about him and what he might think of today’s new media paradigm. You can read it here. I learned a lot about about effective communication at O&M — literally like a teaching hospital for agency people. Much of it I think is still relevant. @GenuineChris, the best way I’ve found to play is to get into the habit of writing outside of words-for-dollars. Whether that’s on a personal blog, by journaling, participating in an online community, etc. You need to create some space to just goof around and find your own voice, IMO. @Judy, a lot of the best copywriters I know have a fiction background. I think it’s a huge advantage, personally. @Charles, that’s probably a correct observation overall. But the more important bit is that the bloggers with a bit of killer and the marketers with a bit of poet tend to be much more successful. @Tammy, very true about clients–and it really goes back to how you’ve positioned yourself with them in the first place. More on that later, actually. @Jason, I’d agree with that (though if I had to do it, I’d starve). Ogilvy sold Aga stoves door to door before he went into advertising. @Robert, I worked with Ogilvy (the agency, not the person, obviously) a few years ago and I was impressed. They do some stellar work. Good recent examples from the world of public speaking would be Obama’s speech in Chicago and his inaugural address. Suppressing the killer is fruitless and will drain your creativity. I believe if you breathe your readers thoughts, your readers thoughts will reflect through your writing. This is true creativity, poetry if you like, copy that speaks-to the readers’ deepest troubles and desires as a kindred spirit. I find the only way forward is to embrace the killer and sing your way through. After all, great copy sings! Ah… to be the killer poet is to reverse engineer the value proposition from your customers’ perspective. Excellent post Sonia and very timely for me. Just had a consultation with Jon Morrow and we talked about this in not so many words. Seems I’m more of a poet than a killer but am working at being both. I think this article is a fascinating restatement of the old “Art vs Commerce” debate. When I was actively teaching screenwriting, writers would HATE the idea of having to write for a market. But there’s never been a chasm between the two — they can exist simultaneously, as this article explains. I published an article on my blog this morning called “Twitter is the Borg“, which I believe (I hope) is a great example of something that is both “an end” to itself AND the “means to an end”. It definitely takes longer to craft such content, but if you’re giving your reader genuine value, it’s ALWAYS worth it in the long run. Brilliant, brilliant topic for a post – thanks Sonia! It puts into words something I’d never even half-articulated but that I see in action all round the web (the sort of copy the Pen Men and Naomi Dunford write, for instance). I think I’m in a similar position to Judy above: I write fiction (for love — well, and a post-grad degree) at the moment, in between writing the non-fiction stuff that pays the rent! I’m starting to think there needs to be a bit more cross-fertilisation between the two. Some of the blog posts I’ve enjoyed most (and which have won a great response from readers) are ones where I told stories or played around a bit. Lots of food for thought here, anyway; cheers again, Sonia, and looking forward to reading more on this topic. Awesome post. Thanks for this. I’ve never heard of the concept of the Poet and the Killer and this really was a great introduction for me. Really nice! I loved the post. However, could you plese enumerate some examples by the legend and give some tips on how to prune write-ups for making brilliant copies! Hi Sonia. My new mantra, thanks to you… “It’s about caring about language and making the words sing.” That’s what I aspire to do through writing. Thank you! Great post – DO is one of my heroes. I have found over the 12 years I’ve been an independent, and the preceding ten as a corporate marketer, that killers get rehired. Clients like copy that sells their merchandise. BUT killer poets get rehired A LOT. I love writing copy that sings or dances, but when it’s time to pay for a holiday or a new car, what I love more is copy that works. Truly inspiring post. Think we can all learn something from this. I agree with Davina that the analogy that you use, it’s not only poetic, it’s true! Look forward to reading the next post! While, as Davina commented, “making the words sing”. Just came in from crab-hunting with the kids in North Carolina and jumped on and saw the credit. Thanks! Found your post so inspiring it led me to a post of my own for the poets in the audience who read my blog. I have written loads of advertising copy and loads of poetry and they definitely inform each other when I let them. Poets need to be killers too and can learn a lot from them. @Steve A, thanks for the pointer. Always fun to dive back into DO’s delicious writing. Killers to the left of me, poets to the right, here I am, stuck in the middle with you. Or, more likely would you agree Harrison, killers to the right and poets to the left of you. As I tend to follow my foolish heart rather than reason and expediency, I attribute my my leftish tendency to where my heart sits – slightly to the left side of me. Thanks for an amazing Post Sonia. Sonia, if I’d commented every time I’ve come back to this bookmarked article and re-read, I’d be indiscernible from spam. This is such a provocative read and it hit me really hard right here… right here in my gut! I don’t know if there’s anyone else here like me, but I tend to waver between the extremes of both sides – the killer and the poet. I’m either a soulless robot or a bleeding heart, but rarely a balance between the two or anything remotely in the middle. Something to work at, most definitely, so thank you much much much for the words of wisdom and the fabulous read! P.S. To Brian, I’ve been lurking for awhile as I’ve worked on planning and prepping my very first blog. Copyblogger is almost too brilliant a resource. Sometimes I find myself surfing around here so long I hardly get any writing of my own done! Anyway, I cannot thank you enough. You kick absolute and utter @$$ my man! There’s gems buried here at Copyblogger! Love this post. In my business there’s few killers and few poets. We’re all worker-bee technicians. Why? The job pays well and we soon become enslaved by it. To develop the killer and poet within would be such an advantage. And such a blast. Totally agree, thanks for the great article.